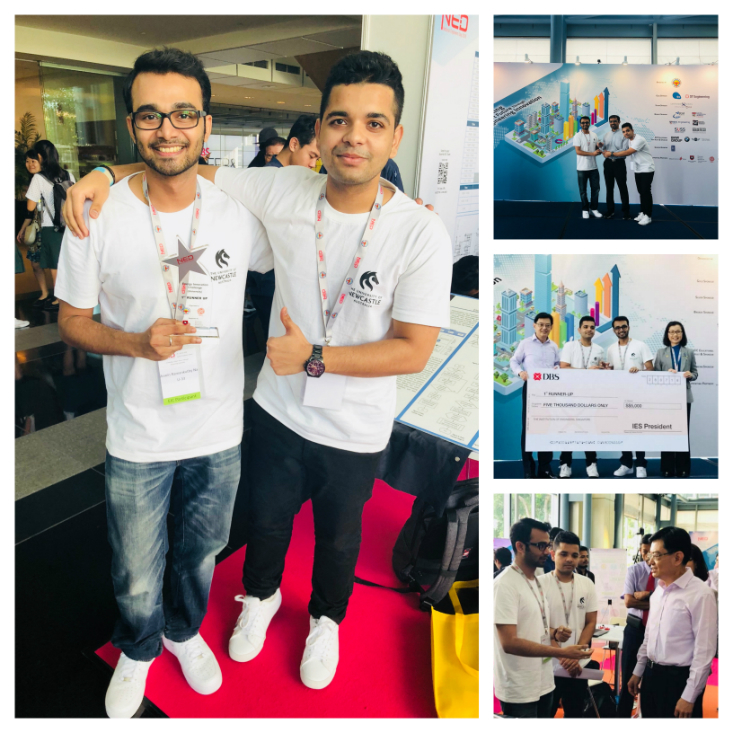 On 28 July 2018, Engineering students in Singapore - Aswin Ramakutty Nair (Electrical Engineering) and Navendu Dubey (Mechanical Engineering) secured the 2nd position in National Engineers Day (NED) - Energy Innovation Challenge 2018, held at Suntec City Convention Centre. This is an improved rating from the 3rd position which the UON Singapore team won in 2016. NED 2018 became the battleground of 90 talented engineering teams from Singapore and across the region participating in the finals of the EIC 2018. EIC 2018 project teams displayed their innovative energy solutions products demonstrating STEM knowledge, practical innovation and pure determination for public viewing and judging at the three-day NED fair. The UON Singapore team stood at 1st runner up in the University category and was honoured with EIC 2018 Trophy and a cheque of $5,000 at the awards and prizes presentation ceremony graced by Minister of Finance, Mr. Heng Swee Keat. To unlock a smart future through engineering innovations under the theme of ‘Smart Engineering Solutions’, the UON Singapore project team developed a Wireless Healthcare Monitoring System. Energy Innovation Challenge (EIC) was organised by The Institution of Engineers, Singapore (IES) and the annual festival aims to exhibit significant advancements across different fields of engineering. Congratulations to the team of talented and committed students, together with their mentor, Dr Hassan Ali (Program Coordinator and Electrical & Electronic Engineering Lecturer) for their tremendous efforts and achievements. For more information on the National Engineers Day, please visit the event website here.